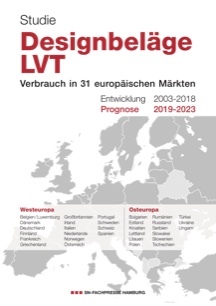 This new study in German language by the publishing house SN-Verlag also contains detailed information about distribution channels and market development in Germany, Austria and Switzerland, Belgium, Luxemburg and the Netherlands regarding textile and elastic floor coverings, parquet, laminate and cork flooring as well as ceramic floor tiles. Market expert Karlheinz Müller has researched and analyzed sales quantities and distribution channels for the different product groups. 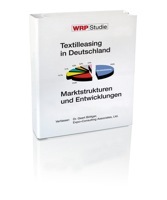 Textile-leasing is a highly successful business model for the supply of textiles in contract business. In spite of the difficult environment, the sales revenue of this industry, which is characterized by medium-sized companies, has grown continuously. The most important generator of sales in textile leasing is work clothing, followed by Health & Care, gastronomy and hotels, washroom services and dirt trapper mats. Studie: Altenheime - Markt der Zukunft ? How much growth can be expected for the interior decoration of retirement and care homes? 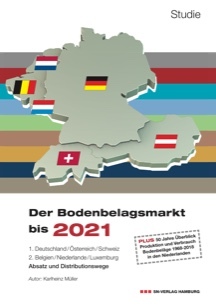 This German language study about the development of retirement and care homes in Germany up to 2015 provides an informational basis for investments in retirement and care properties. 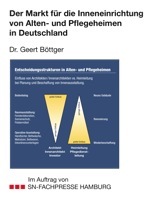 More about Studie: Altenheime - Markt der Zukunft ?